The wind energy industry is beginning to find more success in Australia. This is largely thanks to the efforts being made by individual states, many of whom are looking to meet new environmental goals. This week, a new 100 megawatt wind farm began operation in South Australia. The wind farm was developed by Neoen and Siemens, both companies that hold a strong position in the wind energy industry. The new wind farm is expected to contribute to South Australia’s continued efforts to embrace renewable energy. Neoen, which is based in France, has been working to aggressively expand its wind and solar portfolios in Australia. The company began bringing wind and solar projects to the country in 2012. Shortly thereafter, investments in the clean energy space began to dwindle, but Neoen was able to maintain its position and establish a leading role in the clean energy market. The company expects to continue seeing success in Australia’s wind sector, especially as the demand for clean power becomes greater. 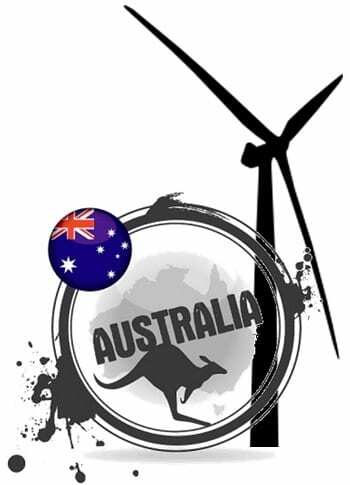 Australian states have worked to ensure that wind projects receive the support they need to prosper. These governments aim to keep investments within their own borders. As such, they are providing incentives to those that seek to support wind projects and developers that want to bring their projects to certain states. In Victoria, such initiatives have ensured the construction of two new wind farms. The state has also awarded the developers of these wind farms with 10-year power purchase agreements. Another large-scale wind farm is being built in Queensland. The state government awarded a contract to Ergon Energy, with construction on the new 170 megawatt wind farm to begin in the near future. These deals between states and energy developers are becoming more common, adding further momentum to the wind energy industry. In the coming years, these deals may become vital to the survival and formation of new projects throughout Australia.